Wow, all I can say is that the past 5 days have been one incredible adventure. 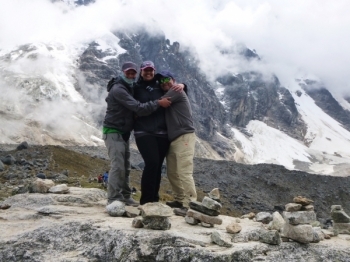 Paul and Marco did a fantastic job of sharing their deep passion for Peru with each person on this trek and it made this experience unforgettable. 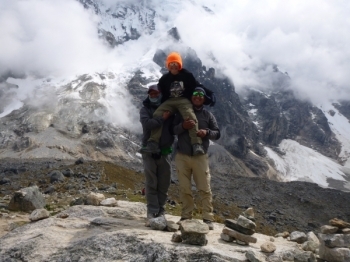 I am a nine year boy that went on the trek with my family. It was very hard but Marco stayed with my mom and I in the back the whole time. 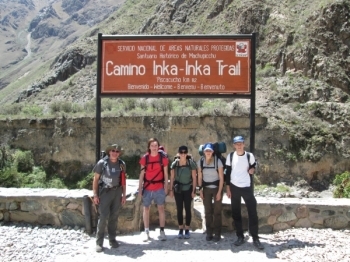 I had a wonderful time with Inca Trail reservations. Our guides Paul and Marco you're awesome. They gave us lots of important information about the culture, and history. Holy Cow I’m in Peru! What a great trip! This was definitely a "bucket list" adventure, and it was well worth it. The guides were fun, helpful, and knew exactly what needed to be done. Our group of 15 was tough to wrangle at times, but Paul and Marco did a great job each and every day. 5 stars! Great experience, great guides, Marco and Paul! Both very attentive, entertaining, and informative :). 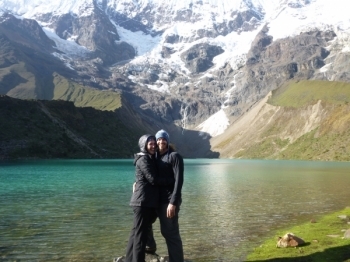 My husband and and I decided We wanted to do the Salkantay Trek for our honeymoon. After finding out how amazing this trip would be, we decided to ask our friends if they wanted to join us. 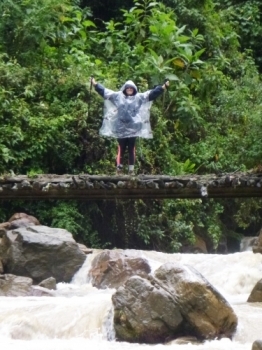 This was an amazing once in a lifetime adventure. I accomplished things I never thought I would I hiked 36 miles, my feet were blistered and had to be wrapped up in bandages and duct tape. 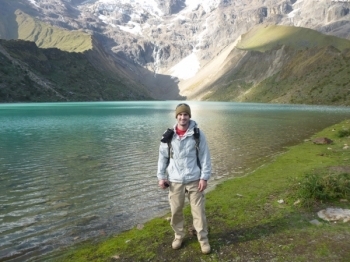 This trek was the best vacation I've ever taken! 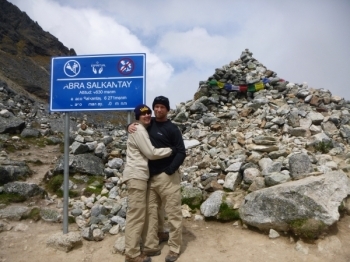 The Salkantay Trail was challenging but very rewarding. Every day was better than the next. 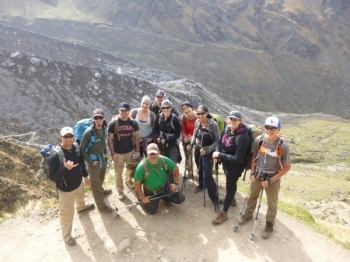 The crew from Inca Trail Reservations were the absolute best! The porters and chefs took great care of us. 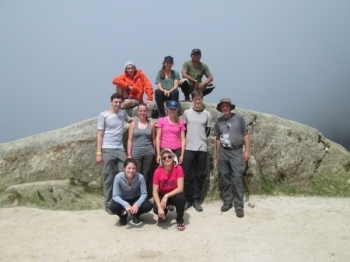 Our guides Paul and Marco were truly amazing! They made the trek fun and exciting. 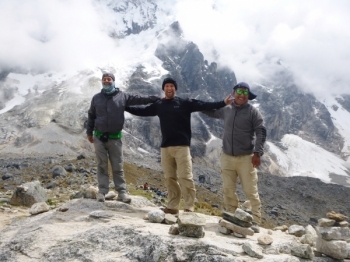 Marco and Paul made sure to take care of everyone, meet the necessary timelines, and that everyone was able to participate at every point during the trek. We brought our three kids, and Marco was very good about making sure that everyone was able to stick with the group. This has been the most amazing adventure I have ever been on. 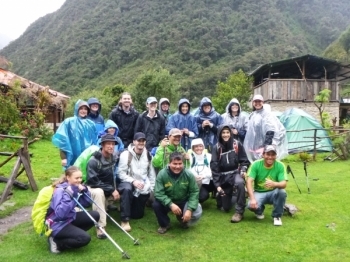 Paulo and Marco were amazing guides and very knowledgable about the history of Peru. Paul and Marco did a great job making everyone feel like family, maintaining time tables and ensuring everyone in the group was taken care of. 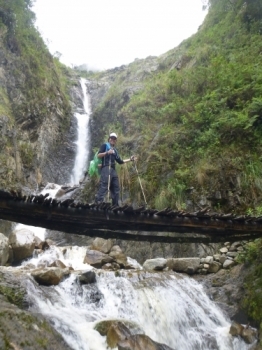 Amazing experience , we had a great guide Chachi , he was funny an Knew a lot about the trail, the porters were good like in the way they carried the baggage around, never complaining , always happy to do us a service . 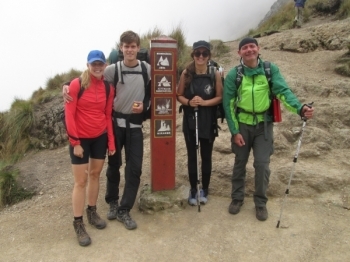 The Inca Trail is an amazing trekking experience - the sun gate and Machu Picchu is the cherry on top. 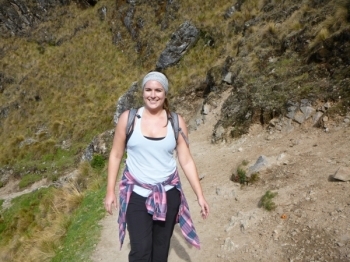 Trekking the original Inca Trail was truly an amazing experience. 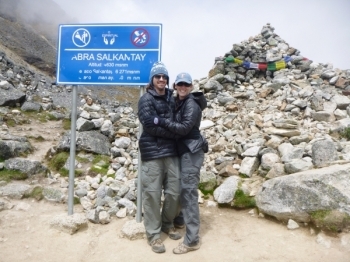 As any good trek, it was very tough at times but also equally rewarding when reaching the summit with a spectacular view, or the campsite.